The long-awaited final volume of the Cicero Trilogy, from a beloved bestselling author "incapable of writing an unenjoyable book" (The Wall Street Journal). At the age of forty-eight, Cicero—the greatest orator of his time—is in exile, his power sacrificed on the altar of his principles. The only way to return to Rome is to pledge his support to a charismatic and dangerous enemy: Julius Caesar. Harnessing his political cunning, unrivalled intellect, and the sheer brilliance of his words, Cicero fights his way back to prominence. Yet no public figure is completely safeguarded against the unscrupulous ambition of others. 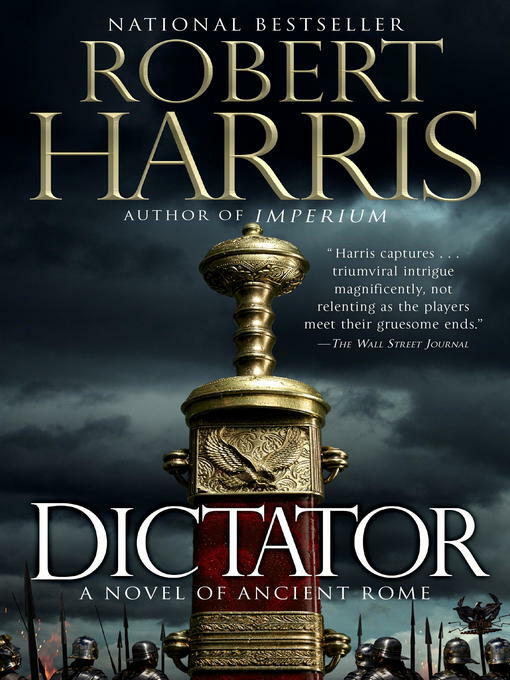 Riveting and tumultuous, Dictator encompasses the most epic events in ancient history, including the collapse of the Roman Republic, the murder of Pompey, and the assassination of Caesar. But its central question is a timeless one: how to keep political freedom unsullied by personal gain, vested interests, and the corrosive effects of ceaseless foreign wars. In Robert Harris's indelible portrait, Cicero is a deeply fascinating hero for his own time and for ours.